Travel Portal Software is a comprehensive and powerful web based online booking system, designed for travel industry especially for Travel Management Companies, destination management companies, travel aggregators, B2B B2C travel agencies, tour operators and home based travel agents. Today, IT Solution World is known as the best travel portal development company in India. We provide consulting, development for all the aspects of B2B & B2C travel portal development and travel api integration for airline booking, hotel booking, travel packages, bus booking, car rental, cruise booking and insurance. We provide white labelled solution for travel website development and travel booking software projects. We provide travel development that empowers companies to deliver a fully loaded online travel booking website that goes well beyond customer expectations. IT Solution World is specialized in portal design, development and integration of various GDS's XML and JSOM, API's, testing & deployment to client host after which we also maintain the product for 24/7 technical and customer support services. IT Solution World is Helping to who is looking for online travel Portal Development services and B2B2C online travel portal start-ups Companies. Our Award-wining internet booking engines offers complete solutions to power online travel agency, hotels vacation package site and more... With large number of people booking and shopping on the internet, it is vital to have own travel website development software with extensive range of travel products. No other travel technology solutions provide offers such wide range of bookable solutions for online travel agencies with most affordable packages in the industry. With the latest evolving technologies, we have developed our flight booking system that takes advantages and our expertise in the travel industry makes us stay ahead of our competitors. Flight Booking Portal Development: Our Online Air Ticket Booking Engine is directly linked with the GDS through API which fetch the online inventory on air ticket and display the search result. After selecting the particular search result it will be redirect to payment gateway for payment processing. We are Providing Best Travel Portal Development services in USA, UK, Hong Kong, Australia, Dubai, Singapore and India. Hotel Booking Portal Development: Advanced XML/JSON and API integration makes our Online Hotel Booking System unique and search for the lowest tariffs available with hotels. After selecting the particular search result it will be redirected to payment gateway for payment processing TPD is a leading Travel Portal Development Global Wide Best Travel Portal company. Bus Booking Portal Development: Our Online Bus Booking Engine is connected with the API which helps in finding the best possible option available in a particular city as per the search by the user. After selecting the particular city as per the search by the user. After selecting the particular search result it will be redirected to payment gateway for payment processing. IT Solution World is specialized on travel portal Development Company in India. Car Booking Portal Development: Our online car booking engine is connected with the API which helps in finding the best possible option available in a particular city as per the search by the user. After selecting the particular search result it will be redirected to payment gateway for payment processing. GDS, LCC, XML, and JSON, API Web services integration Software: Travel Portal development is the Core of the IT Solution World; we offer wide range of Best Travel/Hospitality technology solution to the global clients. 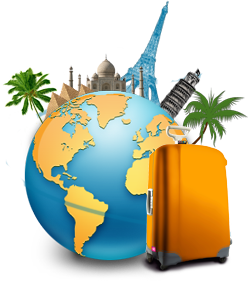 Travel portal domain is one of the large component in e-Commerce vertical. Travel Portal development holds various Online Reservation system and online travel booking Software. Successful Agents Of Travel Portal development: There are many offline travel portal companies has a beautiful set up and infrastructure with large team of employee and still the offline travel companies and Travel Agents are working more or less like agents or they might be having desk top setup and following the manual process.